Laser hair removal at Austin Plastic Surgery Institute is an FDA approved method of dramatically reducing the growth of unwanted hair on several areas of the body. Our board-certified plastic surgeons trust the GentleMax Pro by Syneron Candela to eliminate dark, coarse hair. Light skin and dark hair are an ideal combination, but today’s new lasers are able to target dark black hair, even in patients with dark skin. The areas of the body for men and women that can be treated through laser hair removal are the face, legs, back, chest, stomach, arms, neck, bikini area, underarms, and essentially any other area with unwanted hair growth (except the eyebrows). "I have been coming to see the esthetician at APSI, Helen. I decided to treat the back of my neck and beard line, so I am able to go longer between haircuts. Helen was so knowledgeable about the procedure and helping me understand what to expect from my treatments. I would recommend her to anyone for laser hair removal." 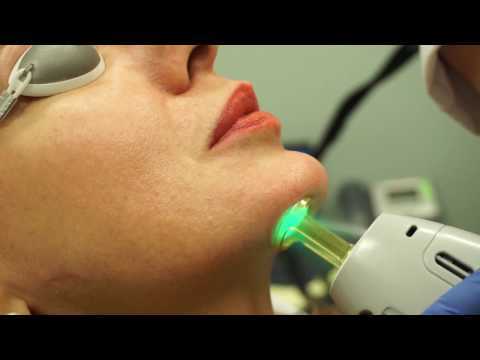 During laser hair removal, the surgeon will place a laser vacuum directly on top of the skin where the hair resides to draw the skin into the hand held piece of equipment. The device stretches and pulls the skin thin so the energy source can target the melanin in the hair. 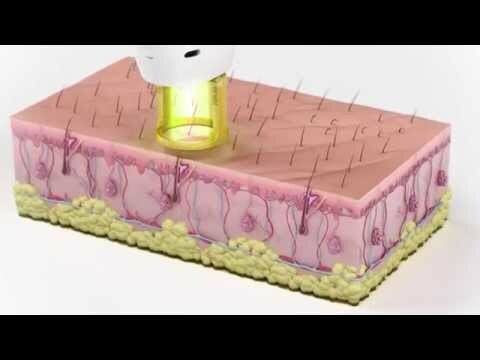 During this process, the follicles absorb the heat the laser beam emits, which damages the follicle and makes it difficult for the hair to grow back. Most patients are able to achieve results in a 30 – 45 minute session that occurs once every 3 – 4 weeks over the course of several months.